During the Alpine Space Programme 2007-2013, co-funded by the European Regional Development Fund, various projects have been dealing with low–carbon economy, energy efficiency and sustainable mobility. Dozens of enterprises have been involved in these projects and could prove their ability to develop and deploy innovative solutions in the field of energy efficiency and renewable energies as well as sustainable mobility. 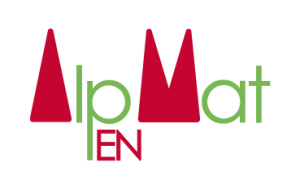 AlpEnMAT will capitalize on the experiences and results of these projects. It will especially foster existing SMEs in the Alpine Space to take benefit of the emerging age of renewable energies. It will bring together SMEs with buyers of energy technologies, municipalities and regions, institutional and private decision makers as well as public and private financing institutions. In the Meetings on Advanced Technology they mutually promote each other, find partners and new market opportunities. Together they exploit and foster major strengths of the Alpine Space: farsightedness, inventiveness and stamina.